Until the day your dog can talk, you’ll never likely hear him pronounce “I love you,” and in the meanwhile, don’t expect him to purchase you a Hallmark card or some balloons with those famous words printed on top. And forget about receiving a box of chocolates or a flower bouquet from your dog when Valentine’s Day is around the corner; dogs know better ways of demonstrating the affection they feel towards their favorite people. 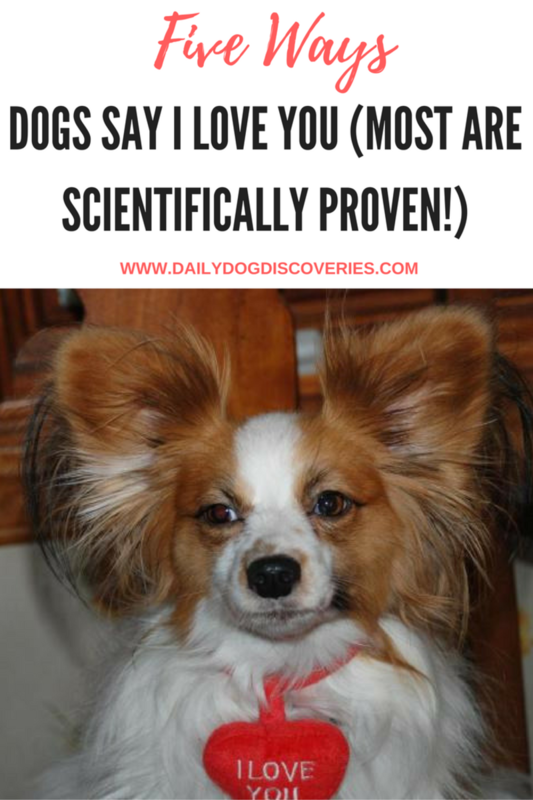 The best part is that dogs say the canine equivalent of “I love you” in dog speak on a daily basis, too bad that we’re often too busy to take notice and their message is often missed! And for those skeptics frowning upon a dog’s ability to demonstrate primary emotions such as love, sadness and fear, they should consider that whether dogs are capable of feeling emotions is no longer a subject of debate. 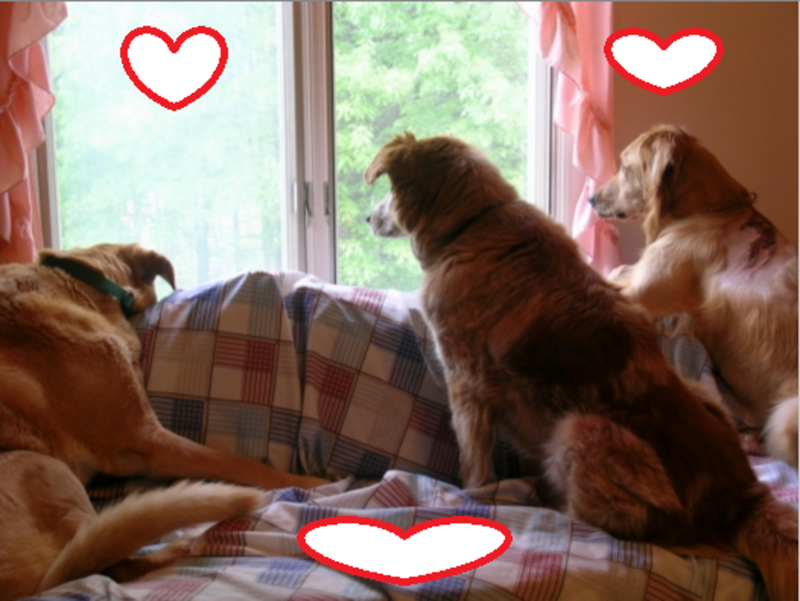 It has been scientifically proven that dogs share the same brain structures that produce emotions in humans. Does your dog get all happy and excited the moment he hears you opening the door? Neuroscientist and author of the book: “How Dogs Love Us,“Gregory Berns may have an explanation. Based on his brain imaging research, Berns found that dogs could clearly discern the scent of familiar humans and their smell sparked activation of their reward response center in the brain, an area called the caudate nucleus. Of course, there are likely other mechanisms at play when it comes to those greeting rituals such as relief from boredom and loneliness and even an element of curiosity, but these are in addition to being glad to see us. Dogs aren’t just tuned into their sense of olfaction, does your dog wag his tail when you talk to him in a happy tone of voice? You may not imagining things when you assume Rover must “love” hearing your voice. In Budapest, Attila Andics, a neuroscientist along with his team of researchers, used MRI technology but this time to study the brain activity of dogs upon hearing human voices. In this study, it was found that dogs, just like humans, have dedicated voice areas in their brains and therefore happy human voices were capable of lightening up the dogs’ temporal pole, the part of the brain responsible for processing acoustic information. This shows that dogs are physically wired to pick up on our subtle mood changes and they are very good at tuning into our feelings. 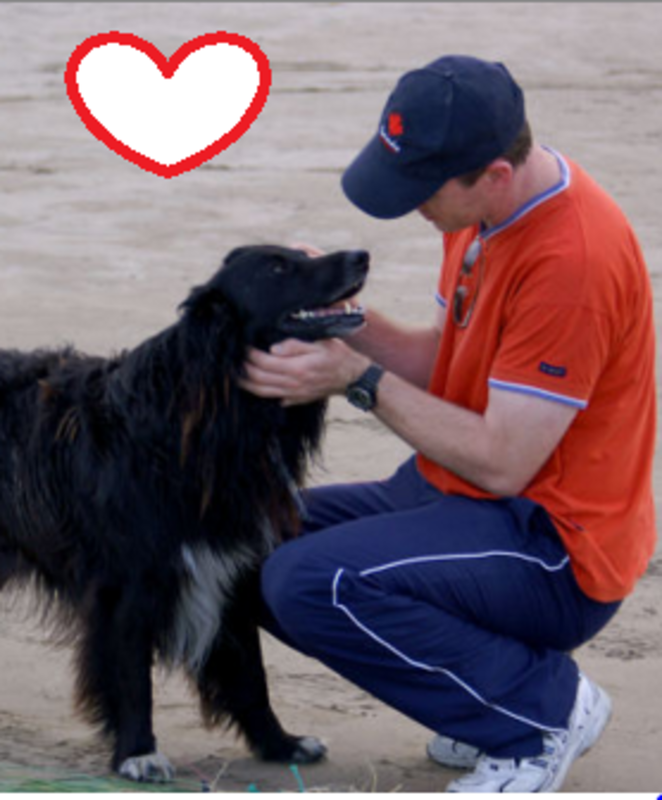 It’s evidence explaining why the bond between humans and dogs is so close, suggests Andics. 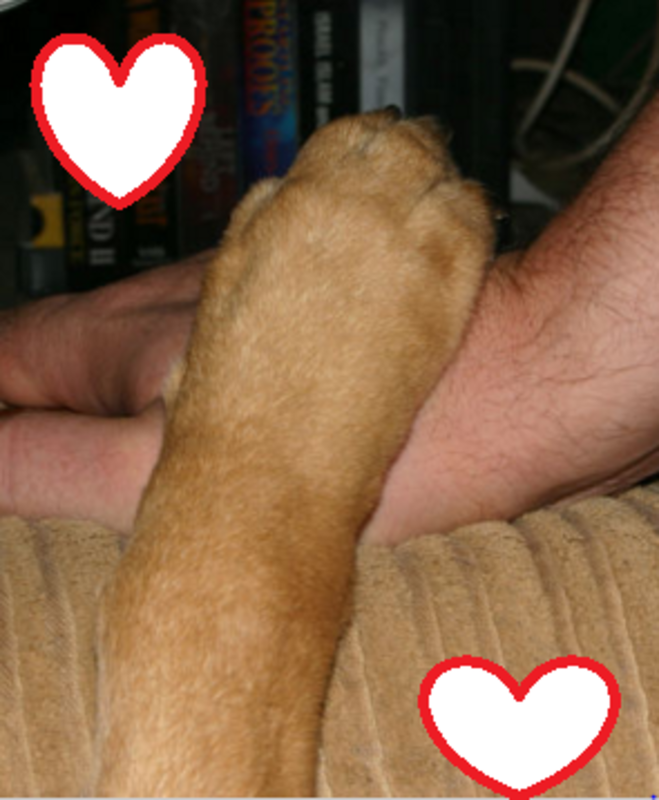 Does your dog rush to you for comfort after being exposed to some frightening event or stimulus? Scientists at the University of Veterinary medicine in Vienna found striking similarities between the bond between dogs and their owners and the bond between between human parents and their children. The study conducted by Lisa Horn from the Vetmeduni’s Messerli Research Institute, provided evidence for the similarity between the “secure base effect” found in dog and owner relationships and child and caregiver relationships. The owner’s presence played an important role in enticing the dog to behave in a confident manner. Andics also confirms that dogs act similar to babies when they’re frightened and seek comfort from humans with whom they have formed a bond, a totally different reaction compared to cats and horses, animals who would rather flee than seek support! There no scientific study or research to back this up, but it’s crystal clear, dogs love us for what we are. We can be rich or poor, happy or sad, young or old, no matter our income, social status or whatever life throws at us, we can always count on our dogs. Dogs don’t hold any grudges toward us regardless of how many mistakes we may have done. It’s no wonder why dogs are considered man’s best friend, whenever it comes to love, dogs can always outperform us and they’re naturally equipped with an endless capacity for unconditional love that they’ll willingly dole out for a lifetime. Regardless of what happens, dogs will always think we’re wonderful and they’ll love us with all their heart. And the best part of all is that they can say “I love you” without using any words at all!